By downing Panathinaikos OPAP Athens 69-81 in the Greek capital, Fenerbahce Istanbul not only added its 10th win in 11 Turkish Airlines EuroLeague Regular Season games, but also managed to do something it had never done before: beat the Greek powerhouse on the road in the early stages of the competition. Fenerbahce - and before it, Ulker - had made 12 trips to Athens in both the Regular Season and Top 16 since it first showed up in the Greek capital in 2001. For many years, the club came back empty-handed, losing its first 11 road showdowns against Panathinaikos. 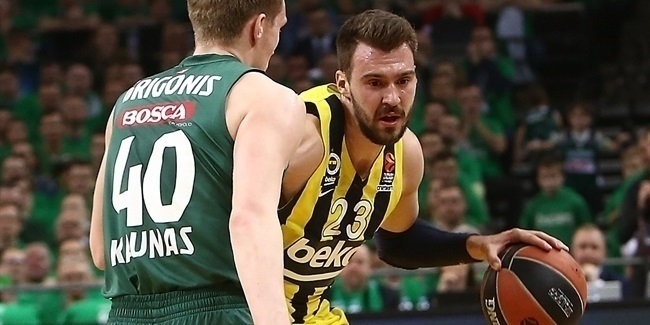 Things changed in the 2017 playoffs, in which Fenerbahce, powered by an unstoppable Bogdan Bogdanovic, beat Panathinaikos in Athens not once but twice. 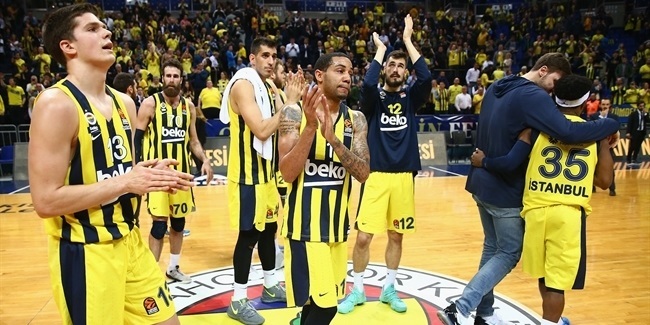 Still, Fenerbahce showed up at the Olympic Sports Center on Friday with 12 consecutive losses in non-playoffs games…and promptly brought that losing streak to an end. It takes a lot of hustle and intensity to beat Panathinaikos in Athens, and that is exactly what Nikola Kalinic provided in this game. Kalinic finished the game with season-highs in scoring (18) and assists (4), but was all over the place, hitting 4-of-5 three-point shots, grabbing 4 rebounds and drawing 4 fouls for a PIR of 22. Fenerbahce also showed great concentration and outstanding ball circulation, finishing the game with 25 assists. Center Jan Vesely had 7 of those, tying his career-high. Fenerbahce hit 13-of-21 three-point shots and, as usual, made things hard for its opponents beyond the three-point line. Panathinaikos hit 7-of-28 from downtown (25%) in a trademark for all teams coached by Zeljko Obradovic over the years: outstanding three-point defense. "Obviously, we played much better in the second half. 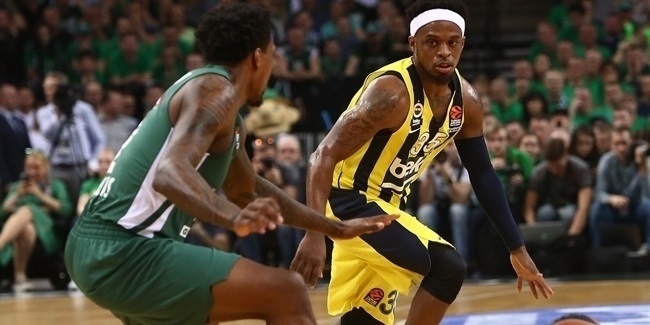 We had 25 assists - this means that we moved the ball and shared the ball like this team wants to do," Obradovic said after the game. "And something I am really happy about from the beginning of the season, my players fight from the first until the last second, always. It doesn't matter if we play good or bad, they continue to fight."